This year, National Volunteer Week is April 23-29, 2017. 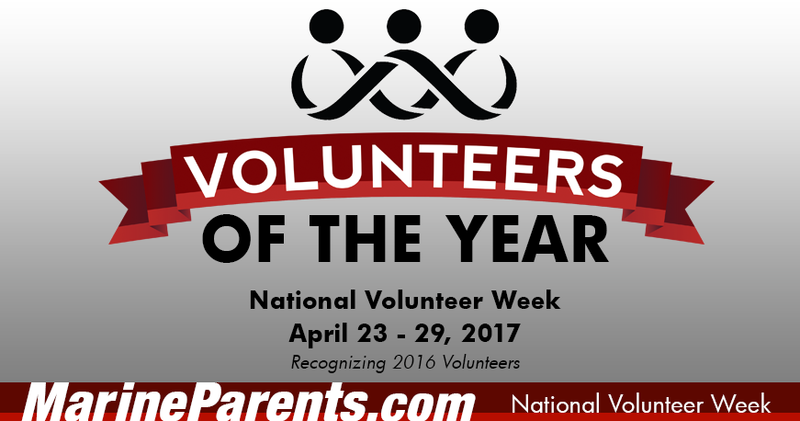 MarineParents.com would like to take this time to recognize our volunteers of the year for 2016. In 2016, Lisa served as a Company Leader for our Official MarineParents.com Facebook Group for 3rd Battalion Lima Company in San Diego. As company leader, she answered questions and provided information to our group members, parents and family members of recruits in Marine Corps Boot Camp. 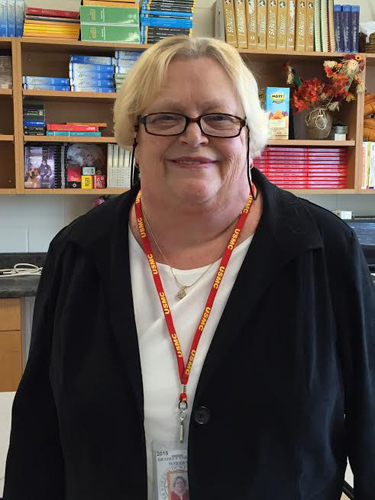 In addition, she is also a member of Team Marine Parents (TMP) as she has been a runner for over 20 years. 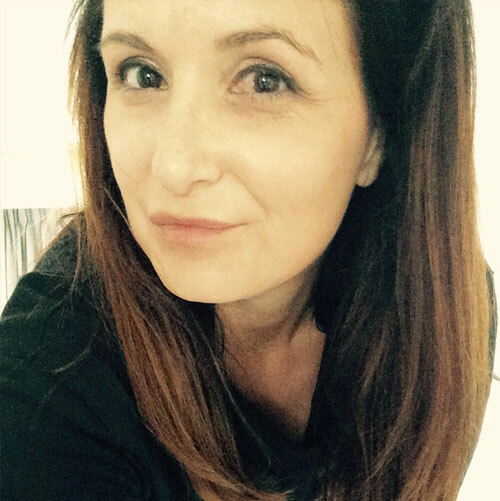 Lisa volunteered her time as co-team leader of TMP in 2016 and did an amazing job recruiting runners for the team, helping our runners with fundraising tips, and setting a marathon training plan to prepare TMP participants for the 41st Marine Corps Marathon. In 2016, Lisa dedicated a total of 1,234 hours to the outreach programs and services of MarineParents.com. Ross got involved with the MarineParents.com Corporate Office through ACT Services, a not-for-profit, nationally accredited, private agency which provides services to individuals with disabilities. Ross was in search of job skills for the real world. 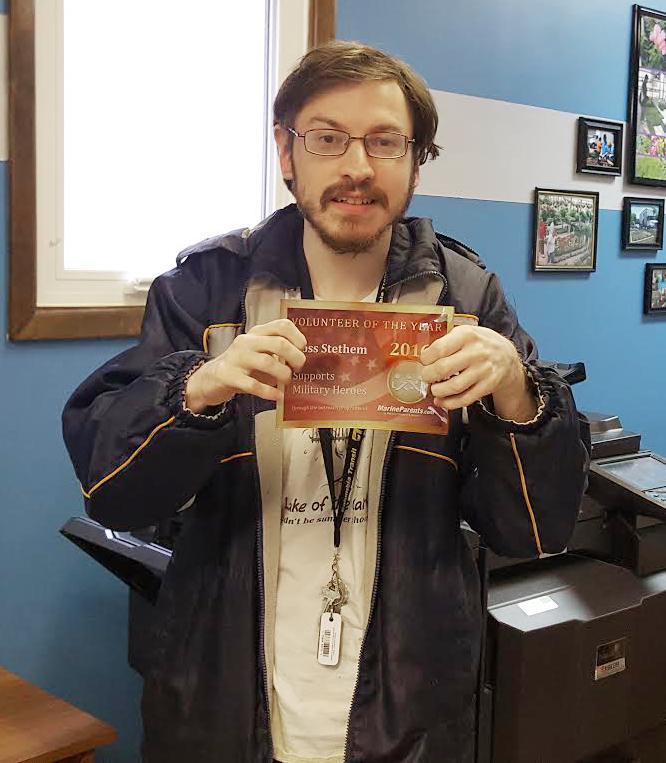 In the hours he volunteered in 2016, he was able to find usable job skills, learned about how staff interact with each other, and how to stay productive with distractions. Ross put our publications into packets so that we could distribute them to Marine Corps Recruiting Stations in every state. In 2016, Ross dedicated a total of 91 hours to the outreach programs and services of MarineParents.com. The West Coast manager of WST, Dale Larson, nominates Paige Solis as volunteer of the year for 2016. Paige is married to a wounded warrior (Danny) and shows her appreciation for the support she and Danny have received from MarineParents.com outreach programs in the past by volunteering with us now. She comes every week to the Wounded Warrior Battalion at the Naval Medical Center in San Diego and serves dinner to wounded and recovering warriors. Dale says, "she always serves with a smile and an encouraging spirit in spite of her own medical issues, and living with someone with PTSD." 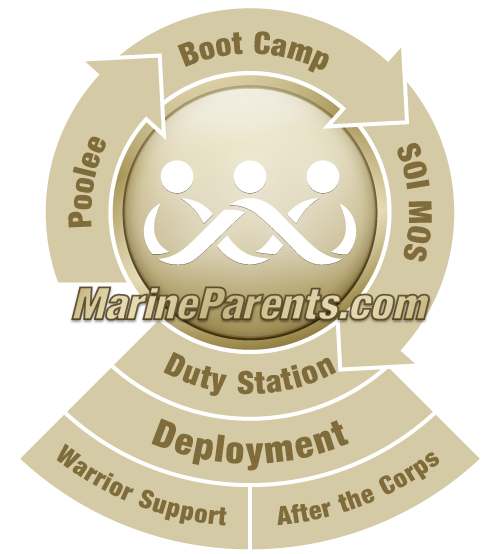 In 2016, Paige dedicated a total of 90 hours to the outreach programs and services of MarineParents.com. The East Coast manager of WST, Susan Kristol, nominates Peggy and Joe Densford as volunteers of the year. 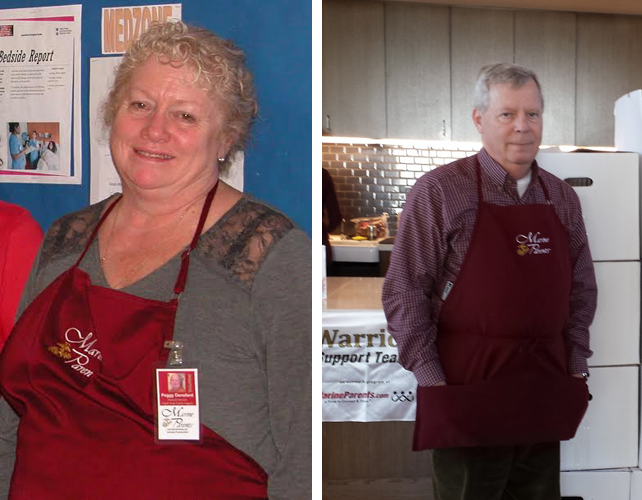 They are the parents of two active-duty Marine sons and have been volunteering for WST since it began at Bethesda Naval Hospital. Peggy and Joe drive more than two hours each way to help serve at our dinners. Joe has donated and assembled many rolling carts to help us transport our materials, while Peggy has been our interface with the restaurant every week, ordering the meals and keeping track of invoices. Peggy also communicates with the women of her church about needs of wounded warriors at Walter Reed National Military Medical Center and facilitates their making many generous donations over the years. 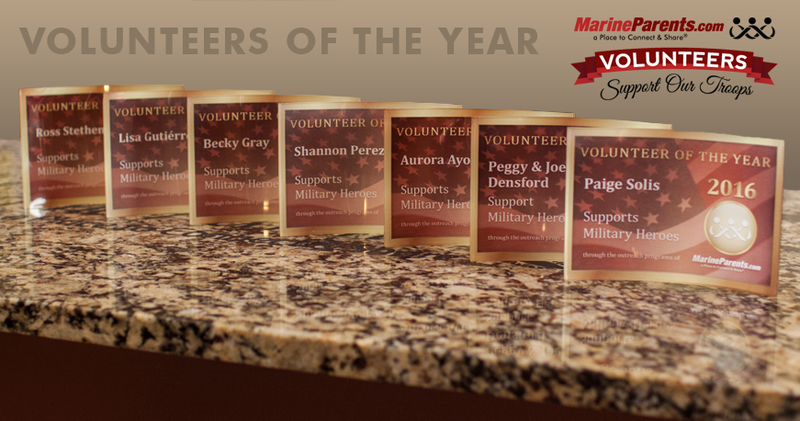 Together in 2016, Peggy and Joe dedicated a total of 277 hours to the outreach programs and services of MarineParents.com. Shannon has been a volunteer with Marine Parents since September of 2015, initially serving as a Group Guide before assuming her current role as the Company Leader for the Official MarineParents.com Facebook Group for 3rd Battalion Kilo Company in San Diego. As a Company Leader, Shannon provides support and guidance to the loved ones of recruits during the 13 week journey through boot camp. Shannon is also a member of Team Marine Parents (TMP). In 2016, Shannon dedicated a total of 494 hours to the outreach programs and services of MarineParents.com. 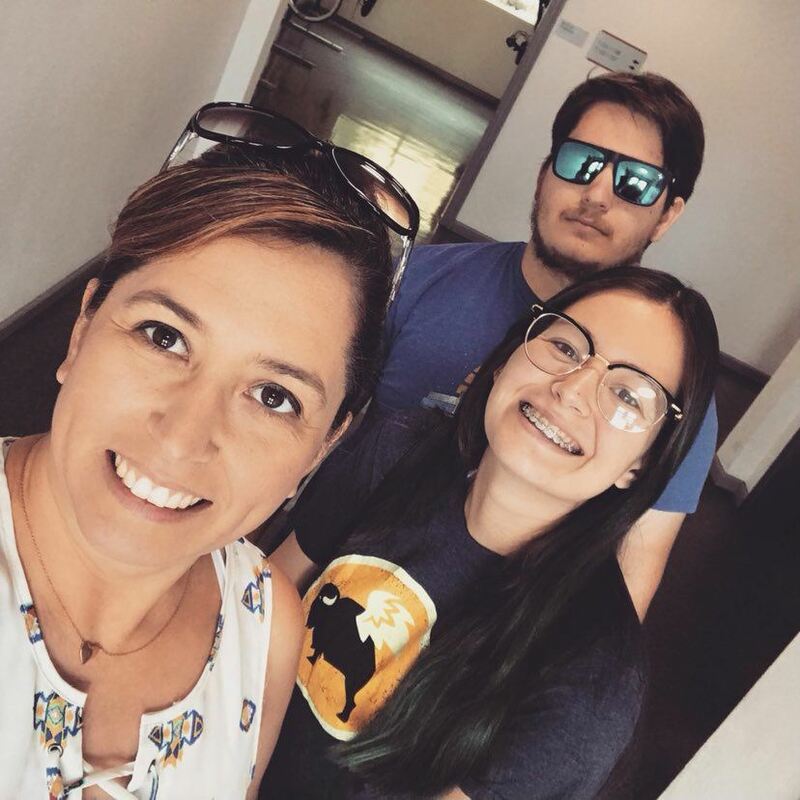 Aurora has been a volunteer with Marine Parents since November of 2015 serving as the leader of our Official MarineParents.com Spanish Facebook Group. 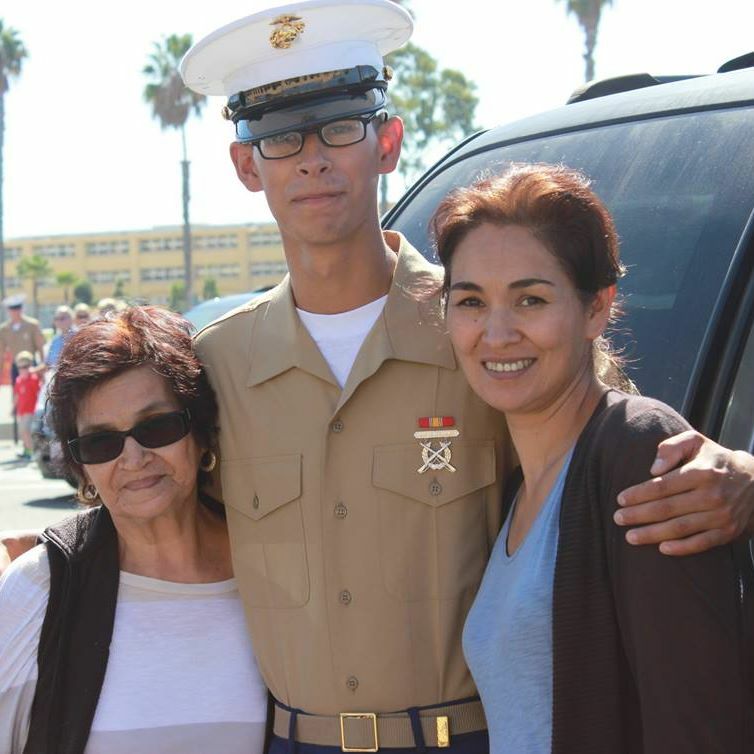 Aurora offers daily guidance and encouragement to families of recruits and new Marines by answering questions and providing resources from the Marine Parents website. Additionally, Aurora has translated many pages on our websites into Spanish, as well as working on a Marine Parents Spanish brochure. In 2016, Aurora dedicated a total of 824 hours to the outreach programs and services of MarineParents.com. Becky is the proud grandmother of a third-generation Marine and has been married to a retired Marine for more than 40 years. Becky and her husband have three adult children, and four grandchildren, including her Marine, who is currently deployed to Japan. Becky currently serves as the Company Leader for the Official MarineParents.com WAB Facebook Group for Marine Combat Training on the East Coast. In 2016, Becky dedicated a total of 401 hours to the outreach programs and services of MarineParents.com.